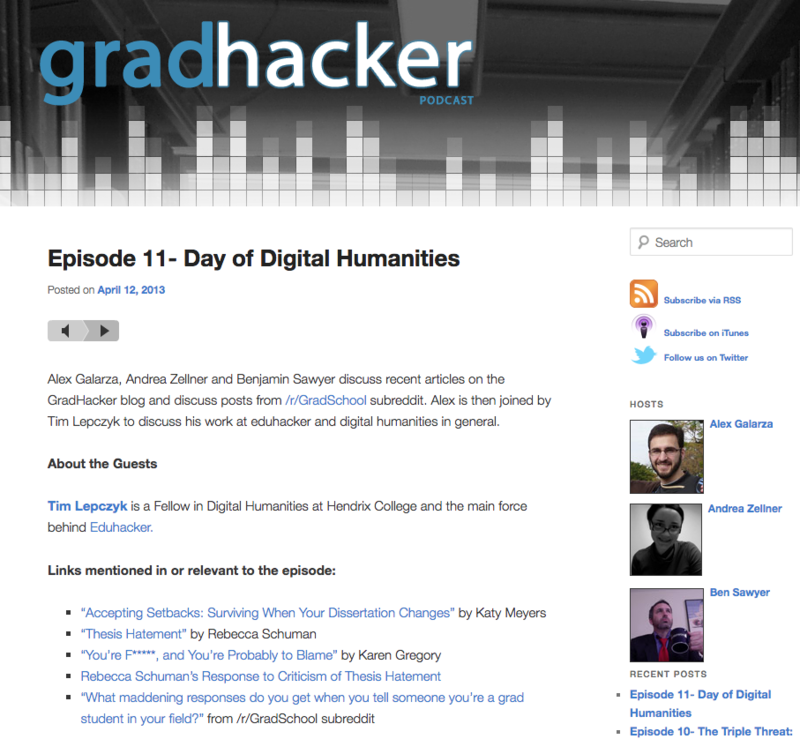 GradHacker is a blog for graduate students, by graduate students. The goal of GradHacker is to create a community of graduate students— across programs and universities —who can benefit from hearing the stories, tips, and challenges of others who are experiencing the same things. Using ProfHacker as a model, GradHacker tackles a wide variety of subjects that reflect both the diversity of its authors and the varied challenges (both academic and personal) facing graduate students as they complete their degrees. GradHacker offers tips about dissertation defenses, dealing with troublesome students, literature reviews, and saving money on groceries (among many others). Originally developed as part of the Cultural Heritage Informatics Initiative (CHI) Fieldschool, GradHacker has achieved national prominence and recognition from the scholarly community. Visit the GradHacker site for more information about its creation and to browse the latest topics of discussion.